Yes I used the Yamaha oem fenders. They are a little more off-white than the new white that other manufacturers use now. Looks good already Brian! And good to see it's getting used! Thanks Brian! Appreciate it. 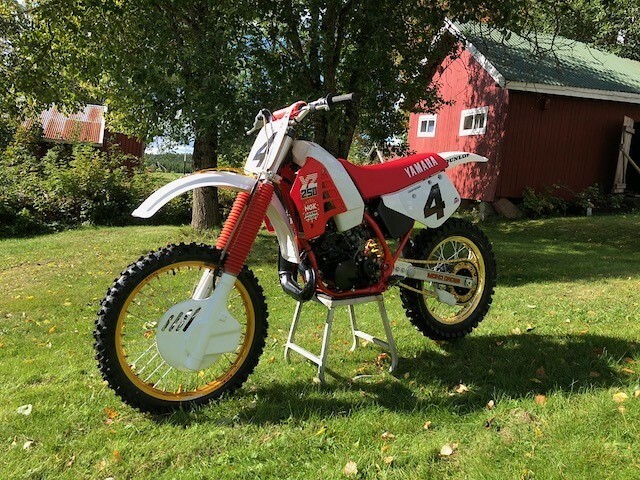 Love the red and white Yamaha's. Got a thread going for your build? Thanks! My favourite color on Yamaha's too! Sorry for late answer Propp2531 I bought a set of Super Stock pegs from Parts Europe P/N 277311 (Parts Unlimited) They are wider than stock, and looks almost stock. No, still not finished with the exhaust. I will post a ride report when I have .